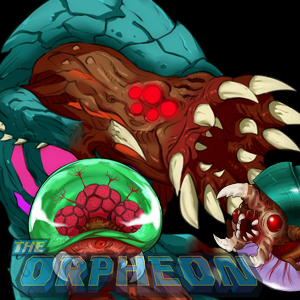 We reached out to one of the Metroid Community’s biggest YouTube channels: The Orpheon. 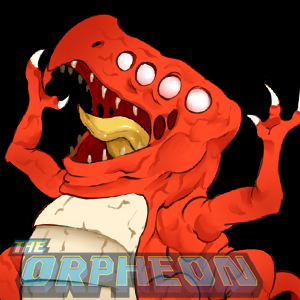 The Orpheon is sitting pretty at over 26k subs, and features custom drawn artwork of the entire gamut of Metroid characters as chibi-fied “commentators” within his videos (Fan-favorite: Crocomire who sounds very similar to Kermit the frog). Read our exclusive interview below. How did you get into making videos and when did you start creating Metroid-related videos? Well my uncle is a video maker himself and works on making TV and internet commercials, so since I was a kid we made home movies whenever we were together, were I usually played as an actor, but he was teaching me all sorts of techniques and details since then so I’d say I was making videos in a way since I was 5 or so. Being more or less persuaded by the time I spent making home videos, and my uncle showing me all sorts of movies, cartoons and video games, I decided to start making videos of my own with my friends in high-school and learn the in-and-outs of video-making by my own and learned how to use all sort of software by just experimenting with the footage I had recorded. I was heavily inspired by a lot of Japanese shows since I was young, like Gundam, Mazinger, Voltron, Kamen Rider, Gridman, Power Rangers, etc. and I was attracted to them because of their flashy visuals and different style of storytelling than what we are used to seeing in the west, and so this in a way made me pursue a career in film and animation in college to help me hone my skills and get a better in-sight on the workflow process for both formats. It was during my years in college that a lot of my friends insisted that I made a Youtube channel about Metroid, since I was always hiding Samus as an easter egg in all my projects and while I was hesitant at first, I ended up planning on what it would take for me to actually make a channel, so for about a year or so I started recording gameplay with my capture card and also doing research and finding references to help me shape the style of my videos in the beginning. 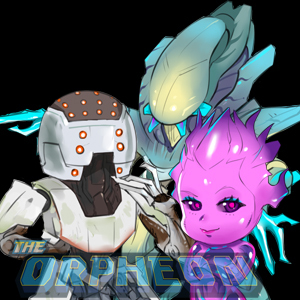 Although my channel was created around 2015 (when I was finishing my bachelors degree) I really only started making videos for Orpheon around early 2016 or so, but I didn’t want to upload a video until I had 4 or so done, that way if anybody happened to stumble upon my channel they would have more than just 1 video to watch. My original intent for the channel was to find an easy way for me to make videos so I could improve my skills as an editor (which is the position in film that I enjoyed the most) without having the major need of relying on other people to send me a project, with Orpheon I could more or less practice at my own leisure while at the same time being hopeful that I could help some people get into Metroid and also offering content that fans of the series could enjoy. How long does it take you to make an average video of yours? Since I make the videos on my spare time and by myself, the production time usually varies from two weeks to a month, depending on the subject of the video and how much free time I have available, and the time this process takes is usually determined by a couple of factors such has: How long is the script which does in par affect how long the voice recording process may be, whether or not I have enough footage for the video or need to recapture a specific part of the game again (such as a boss battle or showing off a certain ability) or If I have to create a special animation or title card, etc. There is also the fact that I try to make each video feel different from each other, even if the format is similar to a previous one, so that I may offer my viewers a different experience with each upload and also challenge myself into incorporating new techniques so that I may grow as an editor/animator. How did you get into Metroid and what was your first game? Well that’s quite the story that I do plan making into a video at some point, but long story short, when I was around 10 or so my family moved to another country and it was a bit of a cultural shock for me, leaving all my friends and family behind and having to adjust to a new reality. I remember one weekend my father took me to the local shopping mall to go window-shopping for video games (he was planning on buying the game I liked the most as a surprise to cheer me up) and for some reason out of all the games available, the one that I picked was Metroid Prime, probably because a few days before moving my best friend from back home showed me the game and my mind was enchanted by it, even though all I saw was the Flaahgra boss (which he was unable to beat). A few days later, I was rushed to the emergency room because I required to get my appendix removed, and on the way to the hospital my dad gave me a copy of Metroid Prime as a gift and I remember playing it on my bed while recovering from the surgery and my mind was immediately entranced by its atmosphere and visuals, it was like no other game I had ever played before. Seeing Samus exploring a new planet all by herself helped me establish a bond with the character, since I too was exploring a ‘new world’ at the time, and it also helped that shortly after I got a copy of Metroid Fusion, where Samus was also recovering from a surgery (because of the X-Parasites) and since then I saw her as a role model. If Samus can do all of this stuff by herself on a mysterious planet, then why couldn’t I do the same? Which Metroid game do you love the most and why? It would probably be a tie between Metroid Fusion and Prime 2: Echoes. I love Fusion’s narrative and eerie sound design, the sense of dread from being chased by the SA-X, and trying to uncover a mystery on the B.S.L is something I don’t feel many games have recaptured as effectively. There is also the cool aspect of Samus starting weaker in this adventure than any other game and I like how the game establishes a power gap between you and the SA-X which forces you, the great Samus, to flee from it until you are strong enough to fight it, and it was also very cool to learn more of what goes inside her mind with the small narrations on the elevator sequences. As for Echoes it’s the atmosphere and story of Aether that captivated me. I feel the art direction on this game was top notch and how you explored the remains of a war between a peaceful race and a hostile one that is invading the planet, and you were there to help save the Luminoth. The world itself was telling a story; all the rooms feel like they were once filled with life at some point and you see how they were trying to change some parts of their world to help keep the Ing away from the Light of Aether and keep their people safe from certain doom. But probably the biggest reason why I love these games is because they feel the less ‘traditional’ out of all the Metroid games, the Space Pirates are not the main villains and the Federation doesn’t play much of a role either so to me it felt more like we were seeing more aspects of the Metroid universe as a hole and the story was more focused on Samus and how she reacted to new scenarios. 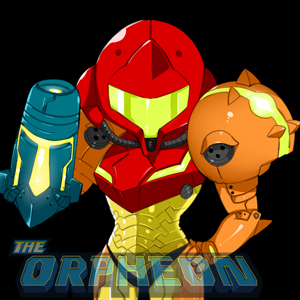 If you could get people to watch a single Metroid video of yours which one would it be and why? The reason for this is that I feel they best reflect the type of content that I like to do for the channel at the moment. The Chozo Memories video is based around explaining the lore of the Metroid Universe. The items video is dedicated to exploring certain mechanics and tools of the games. And the Crocomire videos are always poking fun at the series I love so much and trying to give it a funnier tone (most Metroid content online is rather serious if you may). I know these are more than one, but at the moment it was really hard picking one video from the channel. What is your view about the most recent releases of Metroid Federation Force and Metroid Samus Returns? I really enjoyed both recent releases for the series; regardless of what was the general consensus might say about the games. Samus Returns more than met my expectations and I really loved its take on the 2D Metroid Formula, its familiar enough to the old-school games for it to feel welcoming but wasn’t afraid of utilizing the new ideas to improve its gameplay with the free-aim and Aieon Abilities and adding more lore with the Chozo Memories. The gameplay feels very solid and the Metroids now pose a bigger threat with their new abilities that makes each evolution more distinct and require the player to use several of the tools at their disposal. It’s no longer a constant bum-rush combat style like in the original and some require the players to assets the situation and react accordingly (but I really disliked how often Gamma Metroids fled from battle). As much as I adore 2D sprites and animation, I really loved the new visuals of the game as well, everything from the environments to character models and animations, everything feels and screams Metroid and I adored the hints of history that made SR-388 really feel more alive and it was the best way to modernize the look of the 2D games. I don’t think the concept artists for the game get enough credits for their work. As for Federation Force, I can’t deny I was alongside the masses on being a bit disappointment that this was the game to be released for the series after the long hiatus since Other M, but I still was willing to give it a chance. And you know what, regardless of all its shortcomings I found it to be an excellent side game to play with friends (be it locally or online) and I was having a lot of fun with it. Every mission felt very distinct from the rest so I never felt like I was performing the same tasks over and over or completing the same objectives, so I never really got tired from it. Even though a lot of people don’t like the ‘chibi’ aesthetics to the art style, it grew on me and I think that the environments, animations and controls were top-notch in quality that I didn’t find myself lost or with hand-cramps like when I played Prime Hunters. I really liked the menu aesthetics for the game, being inside of a hangar getting ready to go out in a mission, I think it gave a lot of personality to the game and I don’t see people mentioning it online, it really made me feel as a member of the Galactic Federation. I think my only big problem with the game, is that its clear it was meant to be played with 4-players, so when you have no-one to play with some missions like the boss fights can become quite the grind for 1-player, even when having the Lone Wolf mod chip. I am working on some videos with my full thoughts on these games were I go a little more in-depth with my opinions for anyone who is curious. What are your hopes for Metroid Prime 4 and the Metroid series as a whole? Well to be honest all I really want is for the game to play or feel like the other installments in the series. I would like for it to not be a mission based game like Federation Force, or with constant escape sequences like Hunters, or forced motion controls like Corruption, I just want to explore one big world and put the pieces of the puzzle of its story by myself. I would also love it if the neither the Space Pirates or the Galactic Federation played a big role in the plot (like in Echoes or Hunters) to allow for a new enemy to emerge for the series, and thus help establish a new look and feel for the franchise with Prime 4, a breath of fresh air. If the Pirates have to be a part of the story, then I’d hope they are a small/side villains you fight in certain locations and used to establish a power gap with the new threat (again like it was seen in Echoes). Lastly if Sylux were to be a villain for the game, I hope he doesn’t just team up with the Pirates, and maybe Ridley and his team are trying to instead steal the Metroid from the hands of the bounty hunter, or perhaps use this as an opportunity to open the door to a sequel to Metroid Prime Hunters, were its more of a hunt to see who can steal the Metroid from Sylux’s hands. Again, I made a video on the subject in case people would like to know more about my opinion on the matter. Of all the Metroid music what is your favorite boss and ambient track? My favorite boss tracks are probably Quadraxis’s, Rundas or Dark Samus theme from Prime 3. Not only do I really like the tone of these songs but also I feel they do a good job of telling a story and establishing a particular mood for each fight. As for ambient track, it has always been a tie between Phendrana Drifts and Torvus Bog, probably because I find both songs very relaxing. I really like the cold and Phendrana’s track always reminds me of a comfy winter day, while Torvus’s theme reminds me of home, since where I live it tends to rains a lot and there are plenty of rain forests. Could you try to describe Samus the character in a single sentence? An absolute badass with a strong resolve to help those in need and with a heart of gold. What more could one ask for? 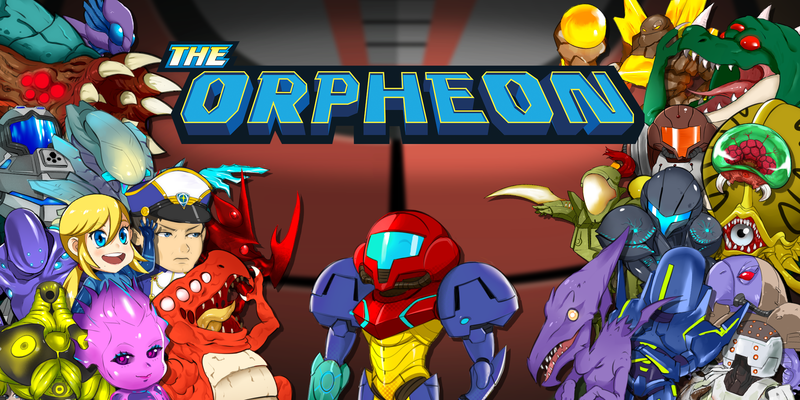 Outside of Samus, who is your favorite other Metroid character? I always really liked Weavel from Prime Hunters for his concept, a Cyborg Space Pirate with a vendetta against Samus and the Pirates, and I think it’s a concept that really goes underappreciated and sadly not used by the series, considering that according to his backstory from Hunters, he fought against Samus in the past. I also enjoy Gandrayda for her sassy personality, thought it was a welcome addition to the universe and I think its fitting to her considering her ability to shape shift, if you could turn into anything you’d want I think you’d be as cocky as she is. As for bosses I always had a soft spot for Crocomire, he always seemed cute and funny to me, I can’t explain why. Metroid manga, anime, movies or toys what would you ask Nintendo to make or make more? This is a bias opinion, but out of everything I would like to have more Metroid toys to be quite honest. I’m an avid figure collector myself (be it Gundams, Kamen Riders, Game/Anime characters, etc) and of course I would love to have more Metroid figures to put on my shelves, especially if they are on the same level of quality has the Figma line, particularly one of the Fusion suit, Dark suit, Ridley or Dark Samus. Honestly I don’t really see Metroid working as a movie, especially if you want to keep the silent type of storytelling the series is known for, not that its impossible but more that no-one in Hollywood at the moment would be willing to make it considering the current popular trends in movies. As for an anime I see it working very well, especially if it follows the type of storytelling like Samurai Champloo or Samurai Jack, where there is not much dialogue and each episode is more or less a standalone episode and there is a larger focus on the world the characters explore without needing much dialogue. As for Mangas, well there are already plenty of them out there, which proves the series can work in that format, but I can bet getting them imported would be a pain to do so. Let’s say you made a Metroid series/anime would you want it to be a retelling of a game or a new story? Honestly I would prefer a new story all together. I feel like Metroid as been stuck in a time-loop as of late because of the lack of new games and we are kind of reliving the events of the older games. The other reason is also because I feel that by making a new story it allows the writers to not only give us a new aspect of the Metroid mythos but also allows them to create a better story for video format without having to be tying itself down to a pre-establish storyline. Outside of Metroid what other series do you follow? In terms of video games, I am a huge fan of Nier: Automata, Metal Gear, Final Fantasy, Monster Hunter, Star Fox, F-Zero and Xenoblade, particularly Xenoblade Chronicles X (I think anybody who follows me on Twitter or the Discord server media knows how much I loved Elma) and I was planning on maybe doing videos on these games at some point in the future. As for animes, I always loved mecha shows like Gundam or Gurren Lagann as well as other shows like, Cowboy Beebop, Samurai Champloo, Kill la Kill, JoJo, to name a few. And I also really love Tokusatsu shows like Garo, Gridman and especially Kamen Rider. Can you give us a sneak peek about future plans or videos? Well at the moment is really hard to say simply because of the nature of video production (and being a one-man-crew) At the moment I do have some ideas for more Metroid videos regarding Federation Force, Prime Hunters and Fusion while we await for more news regarding Prime 4 and its release, in which case once it comes out I will probably shift focus to talk about that game, but I am trying to create some new visuals and animations for those videos. Aside from that, I have shown some interest in making videos not related to the Metroid series like Xenoblade Chronicles and Nier: Automata. I have been working hard recording footage for the games, creating brand new logos, backgrounds and animations to give those videos as much love as I do for the Metroid games. But I will never stop talking about Metroid until I can’t find more topics to turn into fun videos. 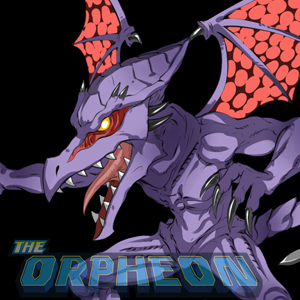 Am I right to assume the name Orpheon comes from Metroid as well? 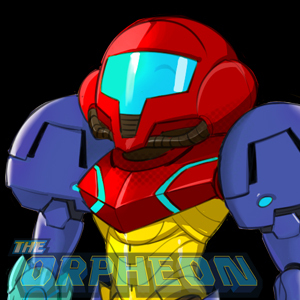 Yes you are, indeed the name Orpheon comes from the Frigate Orpheon from Metroid Prime. Before making the channel I had issues coming up with a name for it, I brainstormed with my friends and things like ‘Narpas Sword’, ‘SR-338 Base’, ‘Justin Bailey’, ‘Ceres’ among other names came up, but then I simply re-played Metroid Prime to relax one day and memories of my youth started coming back to my mind and how much of an impact the pirate frigate had on me and thought it was perfect for the channel. In the end I wanted a name that could be synonymous with the Metroid series but not be too obvious (like the previous names) and at the same time could sound ‘unique’ enough if you may so that it could be use it for videos/branding that weren’t related to the series. Are you making the Metroid art in your videos yourself? You guys have no ideas how many times I get this question and how many times I have to answer it, but no, I do not make the art in my videos. All the original drawings are paid commissions from a close friend of mine better known as Momo Kishi, he is an extremely talented artist who loves Final Fantasy, Metal Gear Solid and Nier: Automata. The staff of the Metroid Database would like to thank Albert for his time and for answering our questions. We wish you the best of luck with YouTube and beyond! 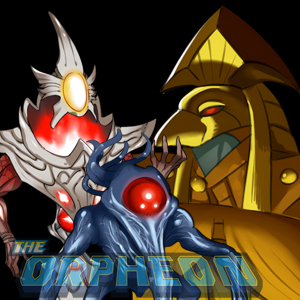 Don’t forget to check out and subscribe to his channel, The Orpheon.